This superior SUV is ready for any adventure. 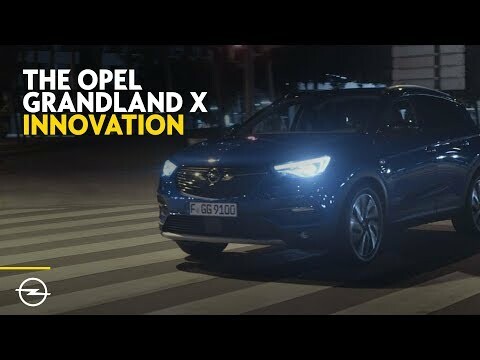 Packed with cutting-edge technology and a thrilling design, Grandland X is ready to rock and roll. GRAND DESIGN: MAKE AN IMPRESSION. GRAND LIFE: ENJOY THE RIDE. Please note, black roof and door mirrors not available on SRi models. *All information was accurate and up to date at the time of going to print. Opel reserves the right to alter engine specifications at any time, which may influence the content of the shown data. All figures quoted relate to the EU base model with standard equipment. The fuel consumption and CO2 emissions figures mentioned are determined according to the NEDC homologation regulations (R (EC) No. 715/2007 and R (EC) No. 692/2008, in the versions respectively applicable), which allows comparability with other vehicles. From 1 September 2017, the fuel consumption and CO2 emissions values of certain new vehicles are determined using the new World Harmonised Light Vehicle Test Procedure (WLTP), and the relevant values are translated back into NEDC to allow the comparability. Please contact your dealer for the latest information and to check if the values have changed. Fuel consumption data and CO2 emission data are determined using the World Harmonised Light Vehicle Test Procedure (WLTP), and the relevant values are translated back to allow the comparability into NEDC, according to regulations R (EC) No. 715/2007, R (EU) No. 2017/1153 and R (EU) No. 2017/11. Feature described and images shown may feature optional equipment not included in the standard vehicle. The information contained was accurate at the time of publishing. We reserve the right to make changes to the design and equipment fitted. The colours shown are approximate only. Optional equipment shown is available at extra charge. Availability, technical features and equipment on our vehicles can vary or may only be available in certain countries or may be available at extra cost only. For precise information on the equipment provided on our vehicles, please contact your local Opel dealer. * = Fuel consumption and CO2 emissions figures shown are determined according to the NEDC homologation regulations (R (EC) No. 715/2007 and R (EC) No. 692/2008, applicable version), which allows comparison with other vehicles. From September 1, 2017, fuel consumption and CO2 emissions data for certain new vehicles are determined using the new World Harmonised Light Vehicle Test Procedure (WLTP). For easy comparison between new and older vehicles the relevant figures are re-calculated into NEDC. 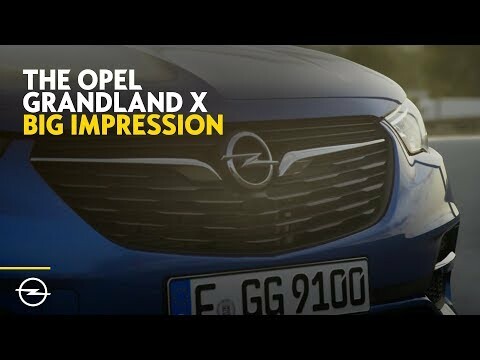 Please contact your Opel dealer for the latest information. ** = Fuel consumption data and CO2 emission data are determined using the World Harmonised Light Vehicle Test Procedure (WLTP), and the figures are re-calculated into NEDC to provide comparative data. (according to regulations R (EC) No. 715/2007, R (EU) No. 2017/1153 and R (EU) No. 2017/11). The figures do not take into account variations in driving style, driving conditions, equipment and options including the type of tyres fitted. For more information on official fuel consumption and CO2 emission values, please visit http://wltpfacts.eu or consult your Opel dealer. Please note: All information was accurate and up to date at the time of publication. Opel reserves the right to alter specifications at any time, which may affect the data shown. All figures quoted relate to the EU base model with standard equipment.